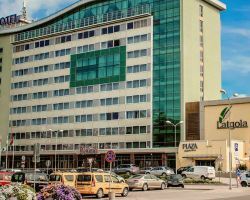 During the last five-ten years Ventspils has become one of the most popular tourist destinations in Latvia. Being a major industrial port, the city invests transit revenues into the tourism infrastructure. That’s why it’s sometimes called “Latvian Dubai”. Here are a lot of modern recreation centers and different tourism objects, which are equipped with the latest technologies. In Ventspils even exist a s/c currency – vents, which is that is accepted for payment in tourism facilities. The eldest medieval fortress in Latvia that preserved so well. Here are football, basketball and ice halls, stadium, skate-park and swimming pool. Waterpark with many different waterslides, unusual swimming pools, Spa-complex and atheltic halls. 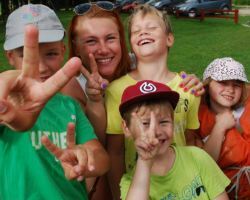 Modern attractions for children in Ventspils center. 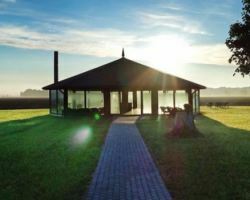 Garden where you can watch deer and boars . Adventure park in Ventspils where you can pass the route with obstacles, jump on the trampolines, ride in the zorb and try many other activities. One of the best beaches in Latvia. The waterpark has different slides, sauna and various attractions for children. It’s opened from May to September. Archery track for everybody that is opened from April 15 to September 30. By bus Riga - Ventspils, every hour. Travel time - 3 hours. Schedule on bus station website. By car - travel time 2-3 h.
In certain seasons is working ferry Ventspils - Saaremaa (Estonia). A new modern three-star hotel is situated in the very centre of the city. Near the hotel there is a railway station and a central bus station, the best entertainment centres. 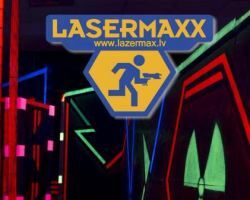 ​Lasermaxx has relaunched in a new arena on at Kalnciema iela 40, 2nd floor (across Kalnciema iela kvartāls). Ferma "Dārziņi" piedāvā iepazīties ar mūsu dabu zirga mugurā!